London and San Francisco, September, 20, 2017 – Digital Shadows, the industry leader in digital risk management, today announced it has raised $26m in a Series C funding round to expand the capabilities of its market leading SearchLight digital risk management service and fuel global expansion. Led by Octopus Ventures, with participation from World Innovation Lab, Industry Ventures and all of Digital Shadows’ existing investors, the funding will support company growth and support its continued commitment to protecting organizations with the best and most comprehensive digital risk management solution in the industry. Luke Hakes, investor at Octopus Ventures, will be joining the board of directors. 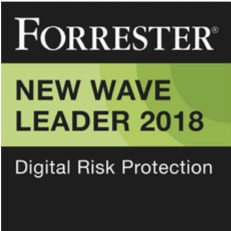 “Digital Shadows is a world-leader in digital risk management, and continues to innovate across all verticals and geographies in a highly competitive space. We are seeing growing demand for this service across our portfolio of technology companies, and we think Digital Shadows are best-placed to meet this considerable opportunity,” said Will Gibbs, Investment Manager at Octopus Ventures. Digital Shadows has continually invested in its market leading SearchLight service which combines scalable data analytics with human analysis to give customers the context and awareness they need to protect their digital footprint from digital risks including cyber threats, data exposure, brand exposure, VIP exposure, infrastructure exposure, physical threat, and third party risk. Recently, Digital Shadows added mobile application support and increased Dark Web capabilities, and the latest funding will speed up the rate of innovation further to provide even more value to customers. Read Alastair’s note on today’s announcement here. 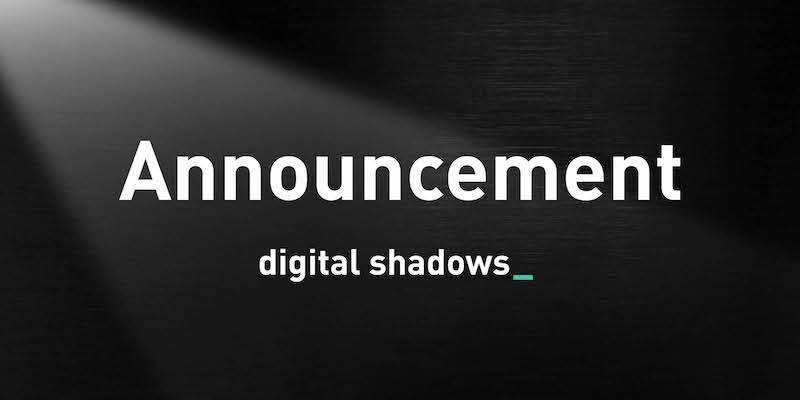 Digital Shadows monitors and manages digital risk across the widest range of data sources within the open, deep, and dark web to protect an organization’s business, brand, and reputation. The Digital Shadows SearchLight™ service combines scalable data analytics with human intelligence analysts to manage and mitigate risks of an organization’s cyber threat, data exposure, brand exposure, VIP exposure, infrastructure exposure, physical threat, and third party risk, and create an up-to-the minute view of an organization’s digital risk with tailored threat intelligence. The company is jointly headquartered in London and San Francisco. For more information, visit: www.digitalshadows.com. Octopus Ventures is a London and New York based venture capital firm, focused on identifying unusually talented entrepreneurs. In recent years we have been fortunate to back the founding teams of over 60 companies, including Conversocial, graze.com, LOVEFiLM, Property Partner, Secret Escapes, Sofar Sounds, SwiftKey, Swoon Editions, Uniplaces, tails.com, Zoopla Property Group and Zynstra. We can invest from £250,000 to £25 million in a first round of funding and will look to follow in subsequent rounds. We are proud to be known as one of the most entrepreneur friendly investors in Europe and a significant part of our portfolio consists of referrals from teams we have already invested in or serial entrepreneurs who we have previously backed. Octopus Ventures is part of the Octopus group. Octopus is a fast-growing UK fund management business with leading positions in several specialist sectors including property finance, healthcare, energy and smaller company investing. Founded in 2000, Octopus manages more than £6 billion of funds on behalf of 50,000 investors. World Innovation Lab (WiL) connects entrepreneurs with corporate resources to build global businesses. World Innovation Lab is a multi-stage venture capital firm that invests in consumer and enterprise technology companies. With a deep network of global corporate partners, the firm is committed to providing startups with unparalleled investment and partnership opportunities. World Innovation Lab’s foundational platform includes the Japan government investment arm and over 20 Japan leading corporations such as Sony, Nissan, Mizuho Bank, Daiwa Securities, NTT, KDDI and All Nippon Airways. World Innovation Lab is headquartered in Palo Alto and Tokyo.